A shared passion for jazz and jokes help forged a lasting friendship between Robin Williams and an awarded Australian musician. Allan Zavod, former keyboardist for Frank Zappa in the 1980s, remained friends with the Oscar-winning actor and comedian after they first met in LA when Williams was on the cusp of stardom. "He was about to star in Mork and Mindy," Dr Zavod said. "He told me he would see how it goes.". He said the pair shared many nights improvising together over a piano at his Bel Air home and at the celebrated LA Comedy Store on Sunset Blvd. "We would sit in a limousine and there would be people screaming after us," Dr Zavod said. "Robin was always delighted to have that popularity and appreciated the fact he was liked and loved, but he was also a private person. "He was a wonderful guy with a great talent and he appreciated my talent and that brought us together." But Dr Zavod, who now lives in South Yarra, said he had become aware of Williams' personal struggles. He was concerned and we did talk a little about it in the early days," he said. "He got a real scare when John Belushi died and got very quiet around that time. "But I think more in the last couple of years he was concerned about his general health. He didn't have much energy. On stage he was fine but afterwards he would just want to go back to his hotel." 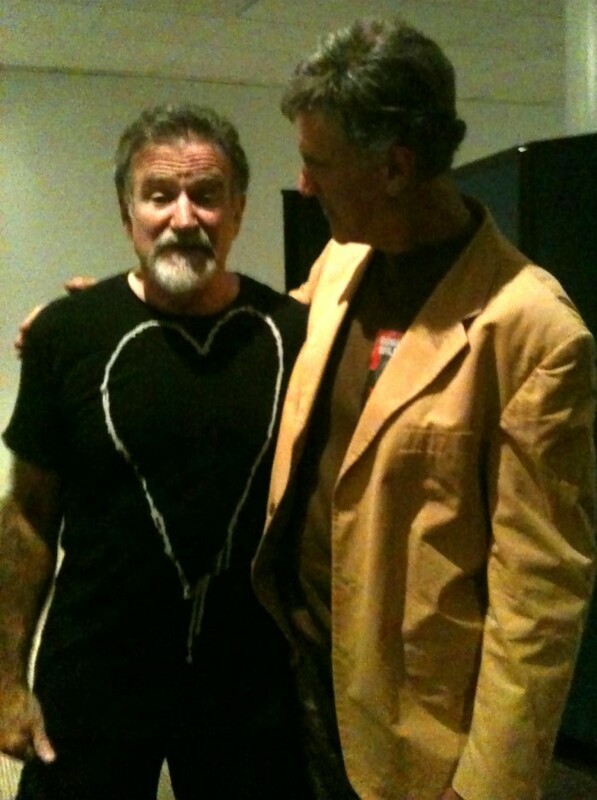 Dr Zavod's last photo of his friend was taken during what would become Williams' final stand-up tour in Australia. "He was so loved and so nice to everybody," he said. We would meet up on the road and go down to the lounge in the hotel and there would be lines of people for his autograph and he would speak to everybody." He said he wished he had known how difficult Wiliams' struggles had become. "I just don't know what happened but I guess it can be lonely up there," he said. "So many people wanted to know him, yet he had nobody to really talk to. I wish I had known. He probably needed some friends to help straighten him out." 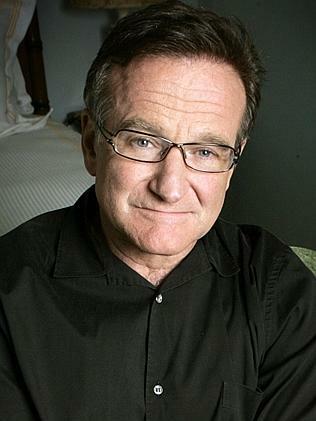 Robin Williams was 'extremely intelligent and absorbed everything,' says Allan Zavod. Jazz pianist and composer Allan Zavod remembers Robin Williams as an extraordinary collaborator and a great mate who always made time for his fans. Zavod, who played with George Benson and Frank Zappa during his 14 years in the US, first struck up a friendship with Williams at a Los Angeles party in the late '70s. "He said, 'I'm doing this new TV series called Mork and Mindy. We'll see how that goes'." One evening, after a night at the Comedy Store, Zavod invited Williams back to his Bel Air home. "I said 'come up to the house and we'll play some music'. I started going into a blues and he immediately jumped in and made up a great melody and words. After we finished he stood there with the biggest smile on his face and said, 'I've never worked with music before. That was fantastic!' After that, he just wanted to do it all the time. "We even did some recording at one point, he was so passionate about the idea of working with me on the improvisation." Eventually, the actor and comedian wanted to take the Williams/Zavod show on the road. "He wanted me to tour with him but I was playing for Frank Zappa and doing movie scores so I was too busy to go out with him but we at least used to meet up in various parts of the country when I was on tour and just hang out," Zavod said. "He was so much fun. We'd go out and find a place where there was a piano and we'd do the jazz and joke thing. It was just fabulous. "The thing I remember most about him was how when we were in public he would pay attention to everything around him and everybody. He would focus on people. He was a good 'politician' in that sense. He was extremely intelligent and absorbed everything." The last time they caught up was in 2010 when Williams was performing in Melbourne, where Zavod now lives. "Looking at the photos we took that night, he doesn't look very happy," he says. "I wish I had picked up on it at the time. I was worried about him but I had no idea it was anything like that. If only I had known what he was going through. "When you are that popular it is pretty lonely. Everyone wants to talk to you but they don't really know you."